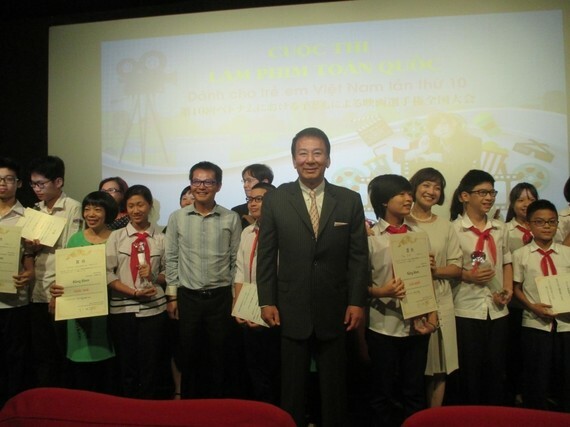 Junior and senior high school students nationwide have a chance to satisfy their desire of making film when participating in the national student film making contest. The Ministry of Education and Training, the Ministry of Culture, Sports and Tourism and the Japanese Embassy in Vietnam will jointly organize the contest on September 8, the Embassy announced today. The national contest, the 12th of its kind, themed Personal Responsibility aims to nurture young people’s dreams and ambitions. Junior and senior high schoolers will make a three-minute film through which they depict their good goals in life. Students in Hanoi, Ho Chi Minh City, the central City of Da Nang and provinces of Khanh Hoa, the northern City of Hai Phong, the Mekong delta City of Can Tho, those from Orphan House Birla and the Youth International Cooperation Development Center. Japan-Vietnam Special Ambassador Sugi Ryotaro initiated the contest in 2007 . Excellent entries will be invited to Japan to participate the International Film Making Competition for Asian children, scheduled to open on November 24 in Kitami, Hokkaido prefecture with winners from other Asian countries. Miss World Vietnam beauty contest will be held for the first time in 2019, aiming at looking for a Vietnamese representative at the Miss World beauty pageant, announced the organization board at a press conference in HCMC on April 22.